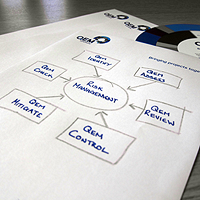 QEM achieve certification to ISO 9001:2015 and ISO 14001:2015! CDM 2015: What's it all about? Safety Innovation - Success from the Jaws of Defeat! Water water everywhere but no steel pipes to transport it…..
Shale Gas - What’s all the fracking fuss about? QEM Solutions Open New Office! CDM 2015 - Whats it all about?